Malicious gossip can spread like wildfire. Traditional leaders in rural Neno District in southern Malawi are only too aware of its destructive nature. In May this year, they grew worried that rumours could undermine HIV self-testing, a new health service that relies on strict confidentiality for its success. HIV self-testing allows people to check whether they have been infected with the HIV virus by using a kit in the privacy of their own homes. “There is a lot of gossiping in our villages so we knew there would be rumours flying,” says Charles Kambalame, Head of Chapita village. To beat the rumour mill, the village leaders threatened to fine anyone spreading gossip about who was taking the tests. “We decided that an adolescent would be fined a goat and an adult a chicken if they gossiped about anyone using an HIV self-test,” says Village Head Juma Douglas of Hariot village. Not a single fine has been imposed so far, suggesting that the threat of fines may have had a dissuasive effect. The support of tribal leaders has smoothed the way for an experiment that is bringing HIV self-testing to people’s doorsteps. 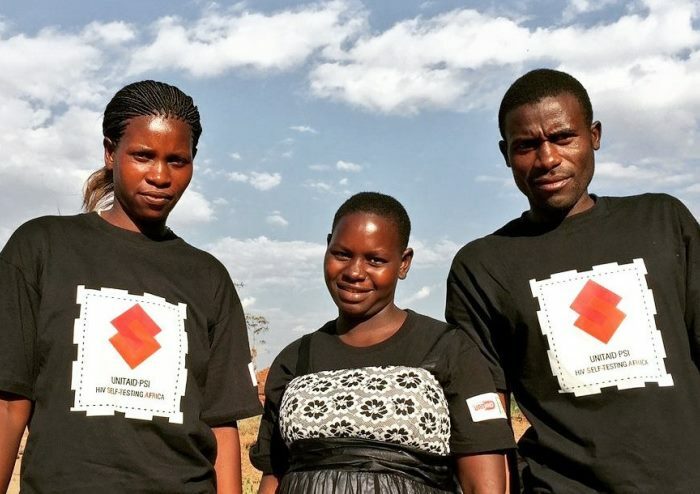 Their involvement has allowed community health workers like Veronica Kapichi to move about freely and answer queries from old and young in the Group Chapita area, which covers eight villages, and is 15 kilometres away the nearest Chifunga Health Centre. 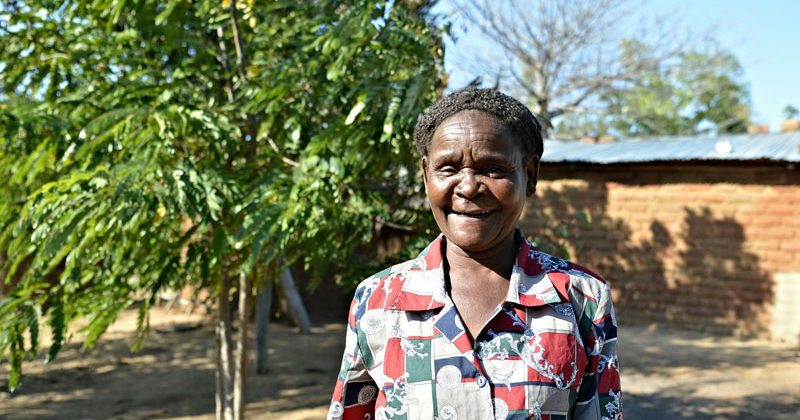 Veronica now feels empowered to meet people in their homes to explain how they can use the HIV self-test correctly. Chapita is one of 10 villages overseen by the most senior of the local leaders, Chief Charles Chibisa. Dressed in resplendent green robes, Chibisa is a commanding figure, surrounded by other junior tribal chiefs. As the Traditional Authority (TA) in the Mulawuli area for the past 15 years, he walks with the confidence of a man who is well respected in his community. 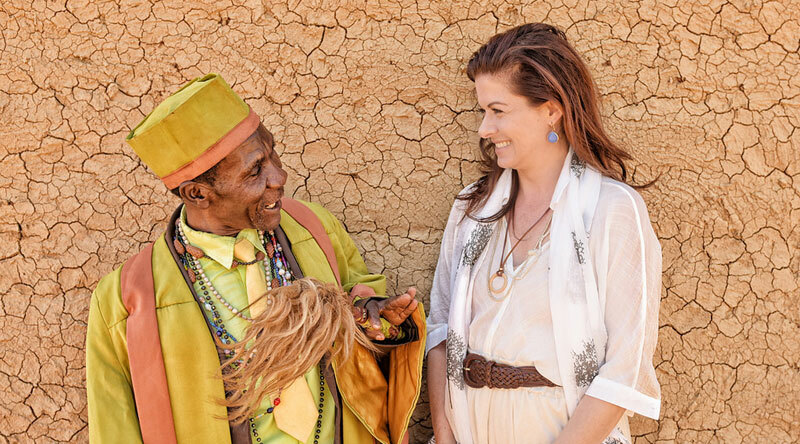 Given his influence as the senior-most tribal head in this area, the Chief’s opinions carry a lot of weight. He has been instrumental in drumming up support for the initiative from the Chapita Group Village Headman and the eight village headmen under him. “We chose the Chifunga area as it’s very far from the nearest health centre,” he says. Veronica, the community health worker who distributes HIV self-tests in Chapita, is no stranger to the villagers. Over the past year, she has been distributing condoms and contraceptives to the villagers. As a result, she has developed a good rapport with the community. That is why young people find it very easy to approach the disarming Veronica. Sometimes, they telephone her to meet her at a location or to pick up the kit at her home, as they don’t want their parents to know. Besides their homes, she even meets people at their place of work, which helps to convince men who are reluctant to use the kit at home. Veronica covers eight villages in all, and has a clear strategy under her belt to cover all the villages. “I plan to visit one village every week and cover all the households, before moving on to the next village. I have only covered three villages since I started, and already people from other villages have been approaching me,” smiles the soft-spoken Veronica who, despite being eight months pregnant with her second child, has already distributed 173 HIV self-test kits. Veronica has become so well-known in the community that a couple, together with their nephew, even came to Veronica’s home to ask for HIV self-test kits. “People are jumping at the opportunity to get self-tested as this has reduced the distance they travel and the cost of having a test,” quips Chibisa. One such person is Rhoda Nyalapa, who is a mother of six. Rhoda finds the self-test very convenient and can use the time she would have spent travelling to and from a health centre more productively. Others like Watson and his friends, who test once every three months, also save a lot of time. “Self-testing is better because it’s faster and then you have time to chat with friends and do some business,” says McDonald. “Most men are not eager to go to their health centre for testing. They rely on their partner’s result, which is often called ‘proxy testing,” says Dr. Karin Hatzold, Project Director of the initiative. Sometimes couples can be sero-discordant, meaning that one is positive and the other is negative. “As Village Head, we would bring in unity and coordination between the couple,” says Village Head Michael Kambalame of Zimphungu who promises to “go door-to-door to create awareness about why the programme is important”. Besides reducing time and costs, the HIV self-test uses a swab, making it is less intimidating than being pierced with a syringe. Chibisa himself attests to that, having been the first to use the kit. He finds the menu easy to follow, with instructions in Chichewa, the local language. “We are going to work hard to make sure that this is a success in my area because that is going to encourage people in other areas to demand the same,” he says. Word has already spread about the self-testing. “Other leaders come and ask if the initiative is going to extend to their areas,” says Village Head Kambalame Dziphango, who came into the role four years ago. With their out-of-the-box thinking, traditional leaders have helped to open doors and bring a critical health service to rural Malawians. Time is of the essence here as most people earn a living selling charcoal, for which they travel long distances. Others rely on farming, which is equally time-consuming. “Going to the health centre is a low priority for many villagers as they are preoccupied with earning their livelihood,” says Village Head Juma Douglas, from Hariot village. Besides the time it takes to get there, a visit to the health centre is also expensive business. “It costs almost 500 Malawian kwacha or US $1 to go to the Chifunga Health Centre to do a HIV test,” says Village Head Ronnick Jolodani from Lamia village of Group Chapita. The village head would know as he has worked at the district health centre. Sometimes village leaders even have to lend money to patients. “Going to Blantyre to do a HIV test costs US $ 3 as it includes transport fare, and the cost of buying food at the testing facilities,” says Dr. Liz Corbett, Research Director of the initiative. “This is expensive as the average income here is less than US $1 per day.” In the time they travel, people also forgo the income they could be earning. “The price of the oral fluid test is US $3, but we offer the test for free in the communities,” adds Dr. Karin Hatzold.